Kyoto is old Japan writ large: atmospheric temples, sublime gardens and traditional teahouses. This is a city of some 2000 temples and shrines: a city of true masterpieces of religious architecture, such as the retina-burning splendour of the famed Golden Pavilion. on top of that, few cities of this size pack such a punch when it comes to their culinary cred, and at its heart is Nishiki Market ('Kyoto's Kitchen'). Kyoto is crammed with everything from Michelin-starred restaurants, chic cocktail bars, cool cafes and sushi spots to food halls. Disabled city breaks in Kyoto have so much to offer disabled wheelchair users. 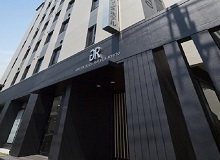 Centrally located in Kyoto City, Green Rich Hotel Kyoto Station South is just an 8-minute walk from JR Kyoto Station and just a 10-minute walk from Toji Temple, famous for its five-storey pagoda.